On July 31, 1891, the Cedar Rapids Canaries scored 10 runs in the first four frames to quickly put the game out of reach as they defeated Joliet 12-2. Jake Drauby went 2-4 in the game with a double and scored a pair of runs. 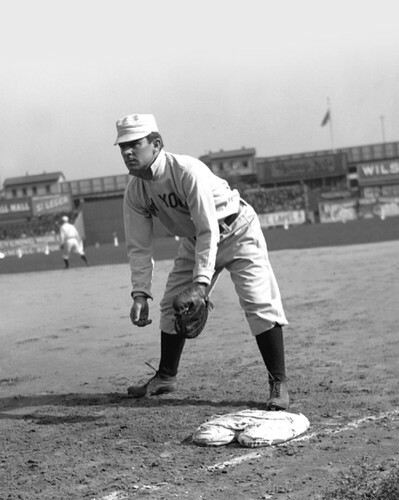 Hall of Famer John McGraw went 1-6 in the game and also scored two runs. This following article was published in the August 1, 1891 edition of the Cedar Rapids Evening Gazette. It contained coverage of a Illinois-Iowa League contest against the Joliet Giants held on July 31, 1891. The 1891 Cedar Rapids Canaries featured seven players who played in Major League baseball before or after their time in Cedar Rapids (Jake Drauby, John Godar, Bill Hoffer, Ed Knouff, John McGraw, Kid Summers and Bill Whitrock). The 1891 Cedar Rapids Canaries posted a 41-47 record before the Illinois-Iowa League disbanded on August 28 when the Ottawa and Ottumwa clubs collapsed leaving Cedar Rapids without opponents. On July 31, 1890, the Cedar Rapids Canaries collected 14 hits and defeated Dubuque 14-2 on the road. This following article was published in the August 1, 1890 edition of the Cedar Rapids Evening Gazette. It contained coverage of a Illinois-Iowa League contest against Dubuque held on July 31, 1890. The 1890 Cedar Rapids Canaries featured three players who played in Major League baseball before or after their time in Cedar Rapids (Jake Drauby, Frank Donnelly and Danny Friend). 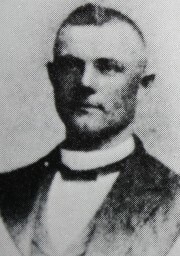 The 1890 Cedar Rapids Canaries posted a 62-48 record under manager James Plumb. On July 31, 2005, Alexi Casilla went 2-4 at the plate to raise his batting average to .335. Casilla led the way with a HR, two RBI and scored a pair of runs in the Cedar Rapids Kernels 5-0 win over the Dayton Dragons at Veterans Memorial Stadium. Alexi Casilla was a member of the 2004 and 2005 Cedar Rapids Kernels teams. The 2004 Kernels squad finished with a record of 75-64 under manager Bobby Magallanes. 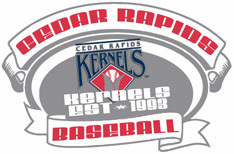 The Kernels lost in the 1st round of the Midwest League playoffs to the Clinton Lumberkings. Casilla hit .310 with a triple, 2 doubles and 1 RBI in 9 games for the Kernels. He returned as a member of the 2005 Kernels squad that finished 65-75 under manager Bobby Magallanes. Casilla hit .325 with 3 HR, 11 doubles, 17 RBI and stole 29 bases in 78 games for the Kernels. The Minnesota Twins acquired Alexi Casilla in exchange for J.C. Romero on December 9, 2005 from the Los Angeles Angels of Anaheim. Casilla has hit .248 with 10 HR, 137 RBI and stole 62 bases during his seven MLB seasons thus far with the Twins. Casilla is batting .212 with 11 doubles, 20 RBI and has stolen 12 bases in 71 games during the 2012 season. 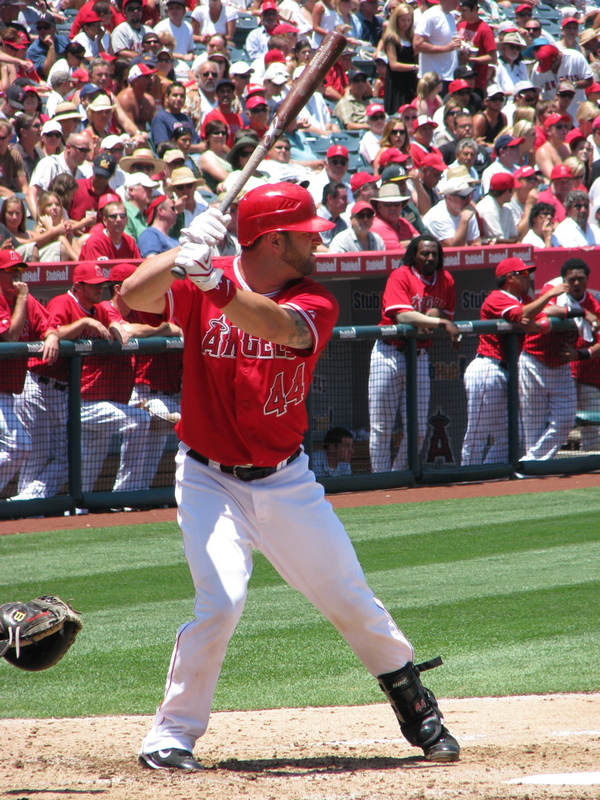 On July 31, 2009 Mike Napoli (Cedar Rapids Kernels – 2001-02) went 4-6 at the plate with a double, a HR, a RBI and scored a run as the Angels defeated the Twins 11-5. Mike Napoli has a career batting average of .260 with 139 HR and 362 RBI during his seven MLB seasons with the Angels and Rangers. He is hitting .228 with 17 HR and 38 RBI thus far in 2012. On July 30, 1891, the Cedar Rapids Canaries scored three runs in the top of the tenth to put away the Joliet Giants 4-1. Bill Hoffer pitched a complete game to earn the win for the Canaries. Hoffer struck out ten batters while allowing one run on ten hits and a walk. Jake Drauby led the way at the plate with a double and a home run in the contest. This following article was published in the July 31, 1891 edition of the Cedar Rapids Evening Gazette. It contained coverage of a Illinois-Iowa League contest against the Joliet Giants held on July 30, 1891. The 1891 Cedar Rapids Canaries featured seven players who played in Major League baseball before or after their time in Cedar Rapids (Jake Drauby, John Godar, Bill Hoffer, Ed Knouff, John McGraw, Kid Summers and Bill Whitrock). The 1891 Cedar Rapids Canaries posted a 41-47 record before the Illinois-Iowa League disbanded on August 28 when the Ottawa and Ottumwa clubs collapsed leaving Cedar Rapids without opponents. On July 30, 2005, Alexi Casilla went 5-5 at the plate to raise his batting average to .332. Casilla led the way with a double, a RBI and scored three runs in the Cedar Rapids Kernels 11-7 win over the Dayton Dragons at Veterans Memorial Stadium. 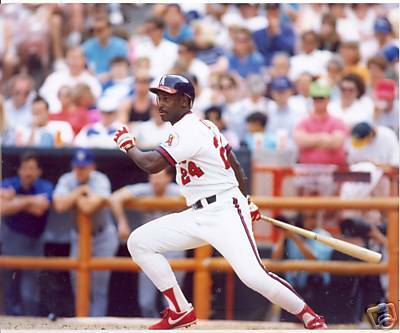 On July 30, 1994, Chili Davis (Cedar Rapids Giants – 1978) was 2-5 at the plate with a pair of HR including a grand slam, seven RBI and scored two runs in the Angels 14-4 win over the Rangers. Chili Davis, a three-time all-star, finished his career with a .274 batting average, 350 HR and 1372 RBI during his 19 year career with the Giants, Angels, Royals and Yankees. Chili Davis was a member of the 1978 Cedar Rapids Giants team that finished 53-82 under manager Jack Mull. 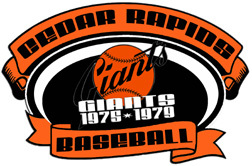 Davis hit .281 with 16 HR and 73 RBI in 124 games for the Cedar Rapids Giants. On July 29, 2009, Howard Kendrick (Cedar Rapids Kernels – 2004) went 3-4 at the plate with a HR, five RBI and scored a run as the Los Angeles Angels of Anaheim defeated the Cleveland Indians 9-3. 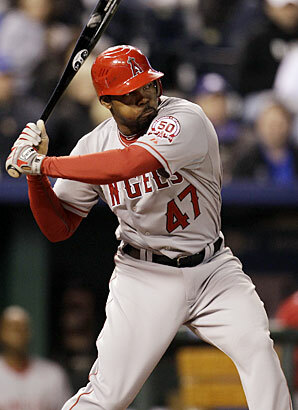 Howard Kendrick has a .290 batting average, 55 HR and 340 RBI in 747 games over seven seasons with the Angels. Kendrick was selected to his first American League All-Star game in 2011. On July 29, 1967, the Cedar Rapids Cardinals defeated the Clinton Pilots 11-0 as Jerry Reuss earned his first professional victory with a two-hit shutout. 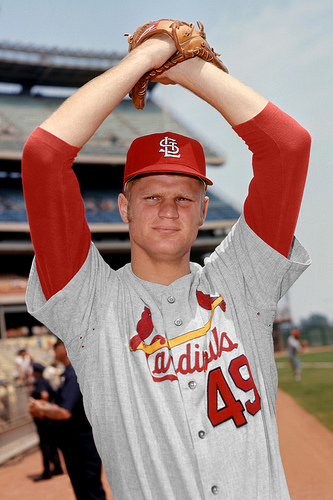 Reuss, the Cardinals second round pick in the 1967 amateur draft (Ted Simmons was their first rounder that year), struck out 12 and walked only one batter in the opening game of a doubleheader. Raul Guerrero supplied the offense with a grand slam in the third inning and Ted Simmons went 3-4 with three RBI. The Cardinals rallied in game two with a three-run sixth inning to sweep the day’s games with a 4-2 victory. Ted Simmons was 1-3 with a RBI single in the three-run sixth. This following article was published in the July 30, 1967 edition of the Cedar Rapids Gazette. It contained coverage of a Midwest League contest against the Clinton Pilots held on July 29, 1967. The 1967 Cedar Rapids Cardinals featured five players who played in Major League baseball after their time in Cedar Rapids (Bob Chlupsa, Jerry Reuss, Bob Schaefer, Ted Simmons and Jack Whillock). The 1967 Cedar Rapids Cardinals posted a 53-67 record to finish 8th in the Midwest league under manager Jack Krol. 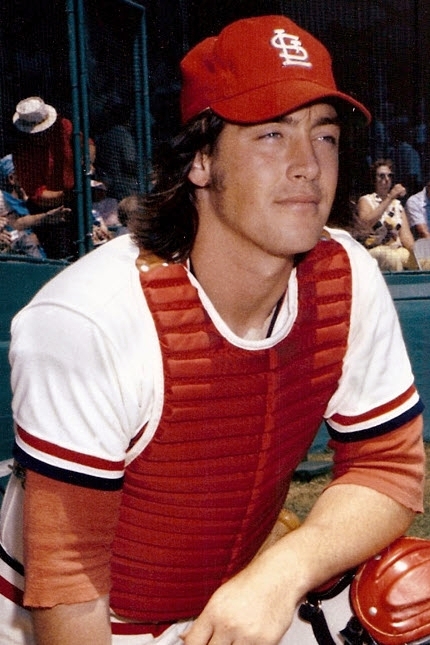 On July 28, 1967, the Cedar Rapids Cardinals rebounded from being shutout in game one of the day doubleheader to take game two by a 8-2 margin behind home runs by Ted Simmons and Raul Guerrero, who hit two in the victory. The game was scoreless until the third inning when the Cardinals tallied five runs behind Simmon’s three-run shot and Guerrero’s first HR of the game. Guerrero hit his second HR over the scoreboard in the fifth inning as the Cardinals cruised to victory. This following article was written by Gus Schrader and was published in the July 29, 1967 edition of the Cedar Rapids Gazette. It contained coverage of a Midwest League contest against the Clinton Pilots held on July 28, 1967. The 1967 Cedar Rapids Cardinals featured five players who played in Major League baseball after their time in Cedar Rapids (Bob Chlupsa, Jerry Reuss, Bob Schaefer, Ted Simmons and Jack Whillock). The 1967 Cedar Rapids Cardinals posted a 53-67 record to finish 8th in the Midwest league under manager Jack Krol.